Where does the Shot Come From? Includes two (2) mobile apps I have proposed: An app that uses your phone/smart watch motion sensor to track & evaluate precise basketball movements, timing, and shooting percentage during training and drills; and an accessory EEG app to evaluate player brain waves (for mindfulness zen state) and compare to shooting percentage, rebounds, and stats, with the intent to teaching the player to identify good vs problematic brain states and help them create productive brain wave states before game time. Added discussion on techniques to initiate the shot. My name is Stephen Dolle and I am an experiential neuroscientist & basketball fanatic. I have been exploring “where” the basketball shot comes from since about 2008. Does it from the body? Or from the mind? Or from some place outside of yourself and this world? The answers I present here are a mix of sports science, brain science, speculation, mindfulness, mythology, and perhaps even shamanism. Sports science and brain science, in my opinion, does not fully explain what we see in basketball. It seems there may be outside influences such as from God, from myths passed down thru generations about basketball, or from the spirits of Shamans. My efforts in healing, philosophy, athletics, coaching, drumming, and now brain science led me to author this in-depth scientific analysis about basketball. 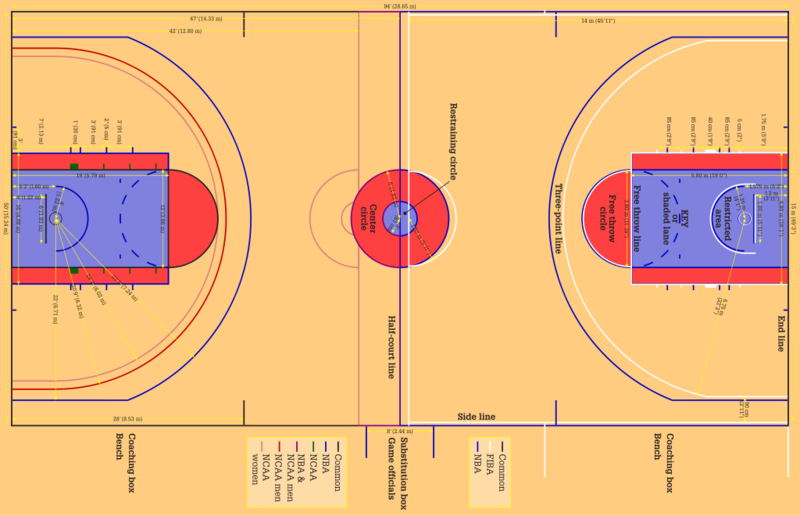 For fun, I’ve included some mythology on the geometric shapes of the modern day basketball court, with some speculation that the court could have been designed by “celestial powers.” Well, at least it’s fun to consider! 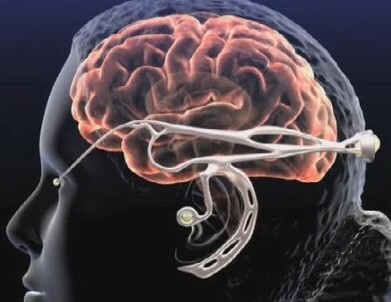 The Limbic System is often termed the Emotional Brain, and is responsible for Super Skills and the Placebo Effect, yet also Addiction Disorders. But more broadly, the basketball shot comes from body movement and the rhythmic progression (via memory) of your own unique movement patterns in completing your basketball shot. And from your belief in the shot and your higher power with God or who you see as your creator. The above image of the “Limbic System” identifies the key structures of the brain involved in sensory processing and memory, and how it is coordinated with information with physical movement from the “brain stem” up to our “Frontal Lobe,” which is most responsible for everyday activities and skilled or “executive” functions. I describe this later in more detail. As basketball is a team sport, it requires that players connect with each other at the highest levels for optimal group play, thru a not yet well understood mechanism termed brain-wave entrainment or BWE. BWE allows a telepathic type of connection between players that allows them to anticipate plays, passes from team-mates, as serves as the emotional bond and belief in the team during play. This group effect then influences each player’s belief in themselves, and then largely affects their success of play. The image below demonstrates the four (4) primary brain wave patterns, where beta waves are predominant during play and during much of the day, but where top players and exceptional individuals can also dip down into the more meditative “alpha” states. It has primarily been my work with drumming or “drum circles,” that led to my work with the science of rhythm & movement, and ultimately to basketball, which I call the No. 1 rhythm & movement sport. 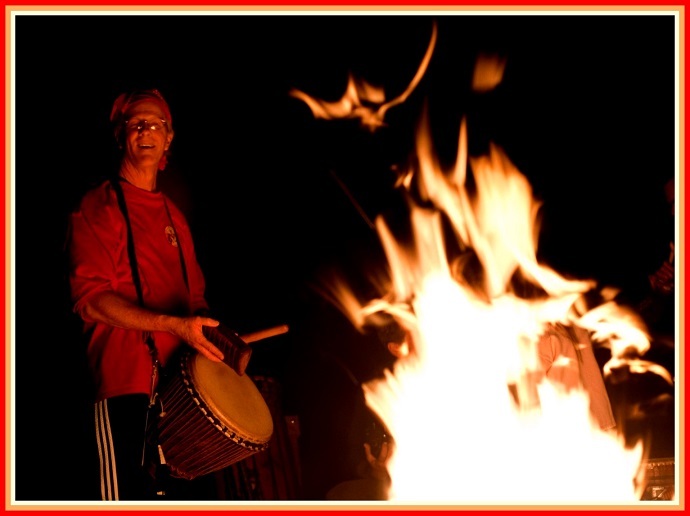 I and many others often term drum circles are a form of group hypnosis in that it can change each participant’s and the group’s mindset. This is based on BWE and connectedness, and one’s belief during play. Basketball very similarly parallels drumming thru very similar timing, coordination, anticipation, and syncopation. Combining drum circle concepts with basketball play I feel makes for a great combination for winning! Basketball today is played all over the world, and for a variety of purposes. I examine the sports & brain science mechanisms that lead to successful play, epic performances of top athletes, and offer methods that can be adopted by both players and teams. I also discuss basketball play for health & fitness, and combining drumming with basketball to improve ball handling, shooting, timing of movement, and on-court communications. I recommend basketball drills (and drumming) as a therapy for the short and long term management of concussion, brain injury, and neurological disorders. Stephen Dolle speaking on STEM3 Educational Techniques with Drums and Rhythm at Wright State University in 2011. ABOUT ME: I became a neuroscientist following a brain injury in 1992. That led to my research with cognition, music therapy, balance & movement, and drumming or drum circles. By 2008, I had begun to apply my methods to basketball, initially with just balance & movement. But by 2010, this evolved into mindfulness and my search for “where” the shot comes from. My neuroscience study now spans learning, cognition, sensory processing disorders, movement & balance, mindfulness, brain wave entrainment (BWE), and shamanism. I’ve also been involved with medical devices, mHealth technology, and assistive technology. Basketball was first introduced in 1891 by James Naismith, a physical education instructor for the YMCA. 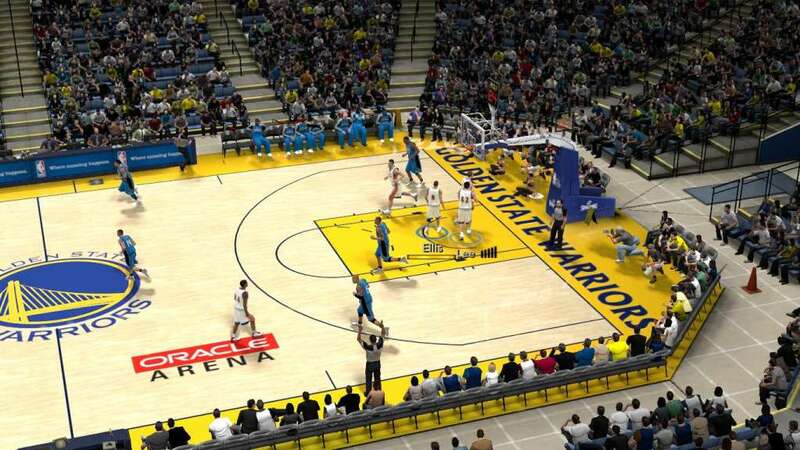 But the game and basketball court have evolved considerably since its early inception. 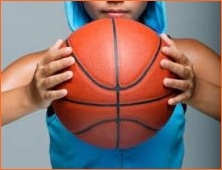 The ball today measures 9.55 inches in diameter (WNBA 9.23 inches), while the basket measures 18 inches in diameter. At times, the basket appears quite large enough to accommodate the ball. While at other times, the hoop just seems far too small. There are quite a few measurements that govern the different sections of the court. There likely isn’t another sport and playing court with as many sections with separate rules governing each. There is considerable sports science in basketball as the sport has been around for over 100 years. Below, is a list of the brain & sports science skills involved in basketball. Basketball has undergone numerous changes since 1891, and today holds few similarities to the original game. 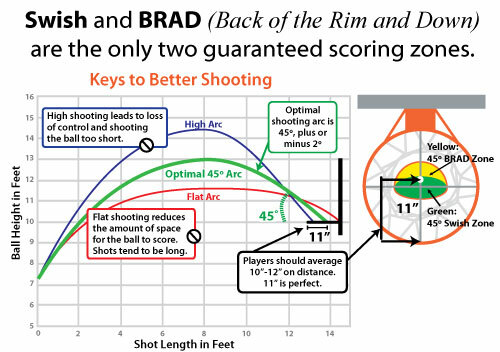 The Swish and BRAD slide below identifies the optimal sports science shooting arcs, while the adjacent slide reveals analytics of shooting by court section for the Miami Heat’s 2012 playoff run. Basketball’s 2014-15 season sensation and league MVP, Stephen Curry, is getting all kinds of sports science coverage now for his 3 point shooting style. Not only does he utilize a high shooting arc, but he has a very quick release. He has already broken 3-point shooting records this post-season, with at least 4 games still to play. He is being described as the best pure shooter the game has ever seen, and I am particularly interested in his mindfulness and related brain science disciplines. These methods will help in further development of skills and health applications for basketball, and in my work with drumming for basketball. 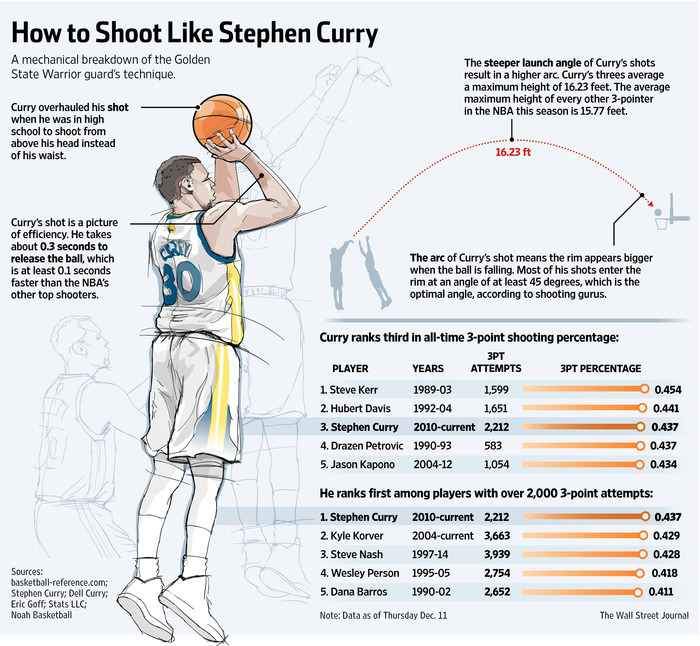 The sport science slides below depict Stephen Curry’s shooting technique. 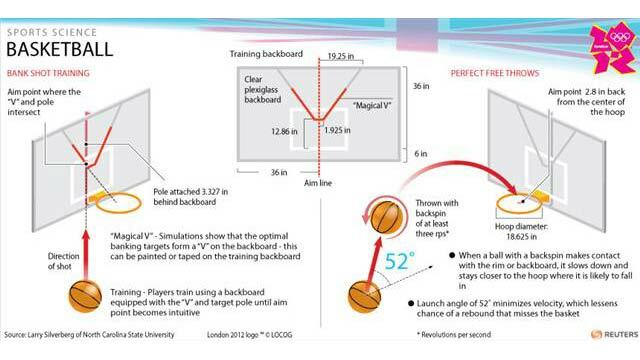 This last sports science slide is on the bank shot and best shooting angles, as if you didn’t already know. Hit the correct spot on the back board, and the ball gets deflected into the basket. 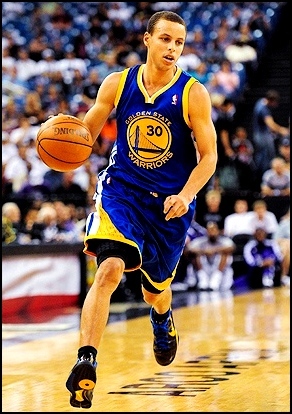 1.Jump Shooting Ball-handler (Stephen Curry) Handles the ball while being a focal point of the offense through deadly jump shooting. 2.Two-way All-star (Kobe Bryant) Elite offensive and defensive player, who can dominate the game on both ends of the court. 3.Inside Outside Scorer (Chandler Parsons) Avoids the mid-range but scores often in the paint and from the three-point line. 4.Mid-range Big-man (Al Jefferson) Skilled rebounder and paint defender who also has midrange jump shooting ability. 5.Defensive Ball-handler (Kyle Lowry) Ballhandler that applies defensive pressure and looks to get his teammates involved on offense. 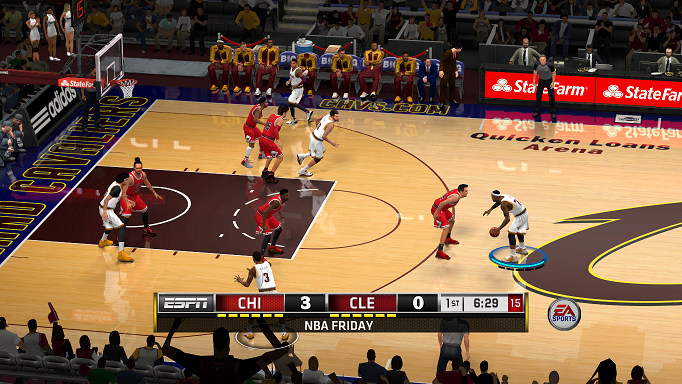 6.3-Point Ball-handler (Klay Thompson) Ballhandler who features an offensive arsenal highlighted by 3-point shooting. 7.3-Point Specialist (Shane Battier) Role player who’s offensive role is almost solely to shoot 3-pointers. 8.Low-usage Ball-handler (Courtney Lee) Ball-handler who can fit in to various roles on a team but lacks a clear identity. 9.Paint Protector (Larry Sanders) Menacing interior defender that protects the rim and deters opponents from driving to the basket. 10.Scoring Rebounders (Tim Duncan) Big man who serves as a team’s primary scorer and also rebounds with consistency. Muthu Alagappan has become a consultant to a couple of NBA teams with his methods, which I find well founded in science and mathematics. His conclusions are supported by game analytics, as are the declining analytics of players attempting successful 2nd and 3rd consecutive 3-point shots. The handling, dribbling, passing, and shooting of the basketball integrates tactile skill of the hands and fingers with kinesiology of skills training, with proprioception of physical memory and recall of the shot (and related court movements). Tactile skill is the sensation of touching the ball with your hands and fingers, and integrating this with the spatial awareness of your feet and body. This sensation also helps with balance and coordination, as we use our fingers and hands in body movements, i.e. hand/finger movements sprinters use as they run, wrestlers during a takedowns. Tactile sensation during movement is also important as we age, and after a neurological events (as happened to me) affecting one’s balance or movement. I intuitively developed new methods in tactile movement following my 1992 brain injury. In 2004, when I became involved in hand drumming, these tactile methods evolved to include “rhythmic” movement. My hand and finger movements significantly help my short term memory, balance, and initiation of movement. I feel these methods can not only be applied to basketball, but also to aid balance, cognition, and movement in everyday life. Kinesiology is more a macro science of movement and spans physiological, psychological, and mechanical mechanisms. 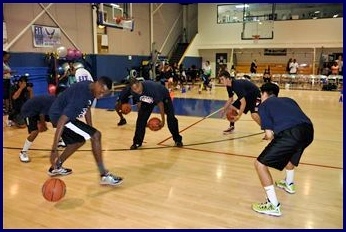 It encompasses physical and psychological training, on court body mechanics for optimal movement, and techniques to help avoid injury and keep players conditioned. Proprioception is more the micro science of movement, defined as the sense of relative position of different parts of your body during movement, and spans memory/recall of specific body movements such as dribbling, sprinting, passing, and shooting. It is also referred to as “muscle memory,” as it defines the network of sensors in our joints, tendons, muscles, and ligaments which remember specific task movements. It allows a player to dribble, pass, and shoot with considerable accuracy. Proprioceptive movement also involves key portions of the brain as the slides indicate. Keen tactile skill, kinesiology, and proprioception no doubt play and integral part in a player’s skillset and success on the basketball court. I am particularly intrigued by the skillsets and shooting capabilities of finesse players like Kevin Durant and Stephen Curry, pictured below. Each has majestic type shooting mechanics and have scored over 50 points in a game. A topic this is often the subject of debate and individual teach styles, is how/what do you actually initiate the basketball shot? Let me say it as simple as I can: You kick down/press down your foot on your hand shooting side, and this motion either sends you jumping into the air (jump shot), or a pull up filed goal where you may not come off the ground as high. But it is that kick/press down motion of your shooting side foot that is the “trigger” that begins the shot. The more versatile, creative, and quicker you are with your kick down and subsequent shot and follow through, the more difficult it is for the defense to read and block. I truly believe you do not require that much of a visual ID of the basket before/during your shot – because it is your brain/body orientation on the court that already knows where you are in relation to the basket. A brief look at the basket before/as you shoot can help to confirm where you are. But that is really more of a confidence thing, meaning, if you think you need a good look, then that is what you “believe.” And that is what you will often need. And that is what the defense will know that about you. Your shooting objective should be to be able to make your shot with the least amount of “look” at the basket. 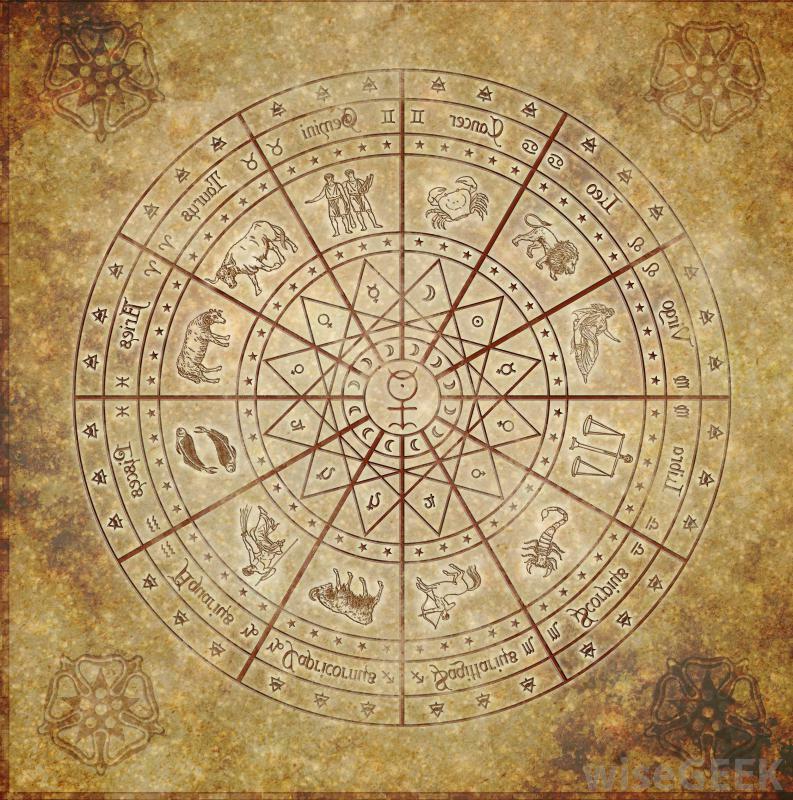 You only need CONFIRM where you are in time & space (see my next section on mythology and celestial shapes of the court). Sports Science vs Mythology: Where does the Shot come from? There are no doubt scientific factors responsible for players having super-skills on the basketball court. I hope that Stephen Curry & LeBron James can help us answer some of these questions in this 2015 NBA Finals. But, what I am referring to, is beyond sports science. Beyond what we can fully prove. It is the unseen influences in the human condition that is so prevalent sports, and especially so in basketball. It can be viewed in terms of psychology, mindfulness, faith & belief, shamanism, trance states, or perhaps the celestial design of the modern basketball court. Let’s start with the design of the court. The arc of the 3-point line, where much of the play takes place, appears to resemble the curvature of the earth. 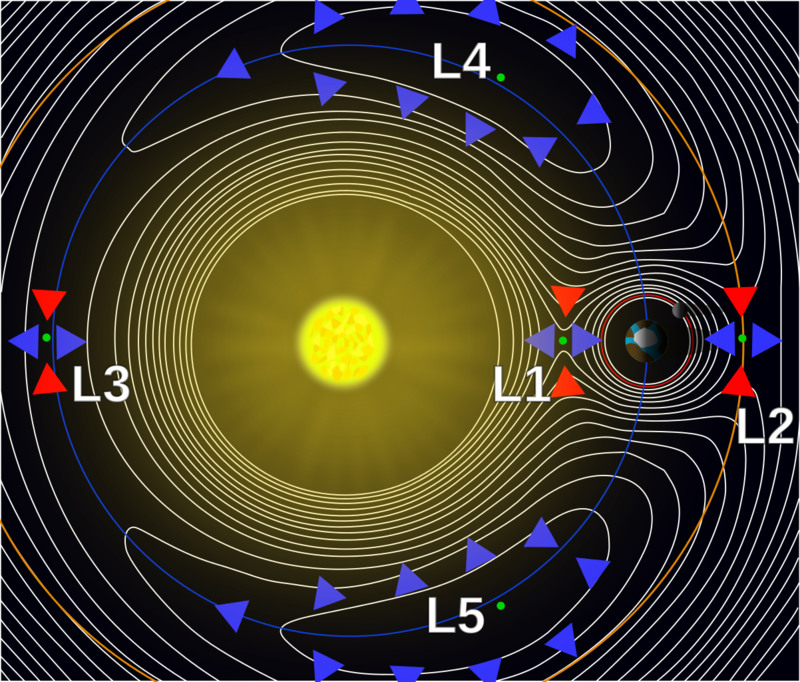 The basket is situated at the base of the arc, much like either the sun or the core of the earth. As players move about on the court, they seek to know their orientation to the basket, much as we seek to orient ourselves to the sun and core of the earth. The players’ knowing of their orientation allows them to make accurate shots in the basket. The current field goal shooting space inside the arc was traditionally where the game was played. 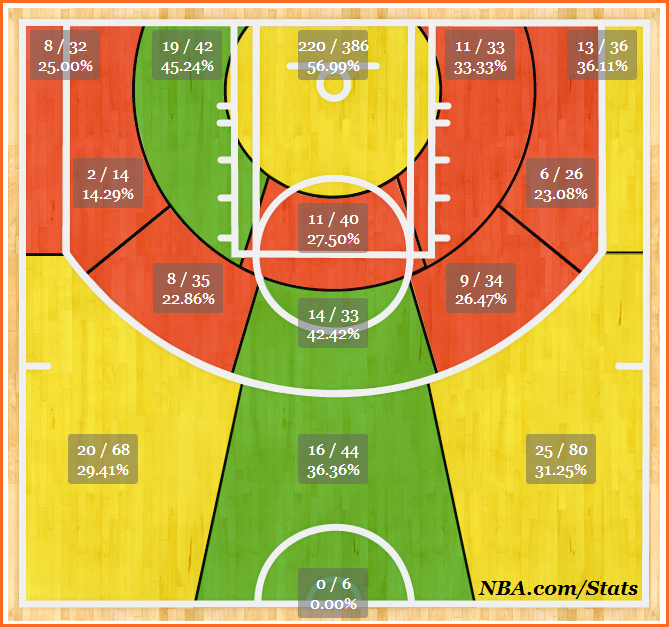 But in more recent years, it has been expanded beyond the arc in 3-point shooting. This space beyond the arc is where players yearning to become celestial gods dare to shoot. The space inside the paint is where mythical players look to defy earthly gravity. This court design seems to invite individuals with unique skillsets to try and master these spaces. Many try. But only a select few succeed. The game and court seem perfect! If you look at the geometric shapes on the court, you can see how they mirror the shapes of our planet’s magnetic and gravitational fields. 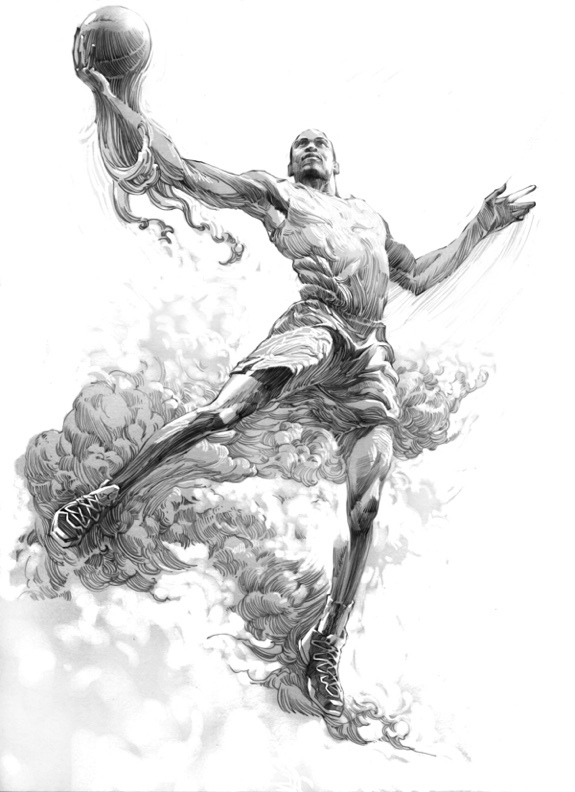 And this gives rise to mythology in basketball and speculation that there is a link between the court and the super-skills of players. 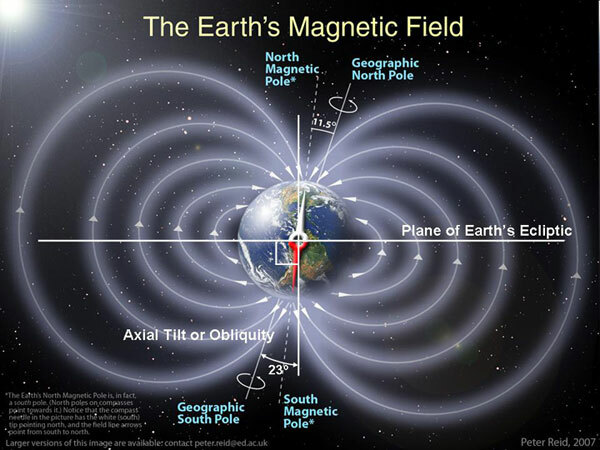 Note the shapes of the images in the earth’s magnetic and gravitational fields. As a scientist, drummer, and multi-sport athlete, I can attest to something occurring in the brain during your mental preparation, and into your rhythmic progression of the athletic maneuver. I think it closely resembles mindfulness visualization. Coach Phil Jackson wrote extensively on mindfulness. As a scientist, I can say that athlete super-skills would likely occur either as faith and belief based hypnosis, trance states, or shamanism. Super-skills have been scientifically confirmed thru study of “trance heightened states” on fMRI brain scans of individuals. I suspect this would also occur in athletes. We’ve discussed sports science, shooting angles & trajectories, tactile skill, kinesiology, and mythology. But where really does the shot come from? During shooting, you have your own unique rhythmic progression that allows you to store & recall your shot – albeit through proprioception. During a game, there are also opponents pushing and bumping into you, and it disrupts timing and a good “look” of the shot. But it is the exceptional shooter who can alter the mechanics of the progression and shot, and fit it into the tighter spaces created by the defense. It is your body’s proprioception that allows you to execute these movements with very limited conscious thought, part of your “somatic” nervous system, where movements of your arms, legs, and body can be pre-programmed to rhythmic cues. Rhythmic movement also aids our memory in doing every day tasks like brushing your teeth, washing dishes, and driving your car, which are integrated into your broader tactile awareness and complex movements. Rhythmic progressions are become a pivotal part of all sports play, plus are found in repetitive activities like drumming, hammering, and most skill trades. I found hand drumming to be uniquely helpful with tactile perception of the hands and fingers, and it can be applied to basketball and activities in everyday life. In addition, rhythmic sports like basketball invoke team brain wave entrainment, or BWE, the same principles found in drumming, or drum circles. BWE is a mirroring of “brain waves” between members of a group in a heightened and connected similar activity. Brain waves normally occur in five (5) frequency ranges: delta, theta, alpha, beta, and gamma, as measured by EEG instruments and brain wave sensors available for mobile devices. BWE determines in part how we learn in a classroom, and how we communicate and influence one another in life. BWE is also involved in why women who live or work together tend to synchronize their menstrual periods to the same times. For more on BWE, see my blog on use of “drum circles” in the workplace. Drum circles aid productivity and stress reduction for employees at this area Orange County firm. BWE methods help with “brain wave” control in movement, timing, attentiveness, communication skill, and stress reduction. The methods actually date back thousands of years. But only more recently, have they been understood. Below, Charles & Kenny do a little drumming during their TNT coverage of basketball. In neurological disorders, learning disorders, and brain injury, the frontal lobe and Limbic region can become compromised, resulting in personality changes, behavioral challenges, cognitive disabilities, and even addition disorders. But in sports and work when these centers are functioning well, you can have skills and abilities like a “high performance sports car!” There are a number of methods and disciplines today that help to optimize these two brain centers, improve mental focus, and reduce stress. The two most popular terms for these disciplines today is meditation and mindfulness. Meditation more defines the type of practice or discipline being used, whereas mindfulness defines the mental or conscious state that you’re trying to achieve. Mindfulness is a lot like “Nirvana,” that place in your mind where you like to go to work everything out. It reminds me of the scence in the Movie, “Happy Gilmore,” where Adam Sandler visualizes all of the good things he would like to have in his life! In his book about mindfulness in basketball under the title, “Sacred Hoops,” Coach Phil Jackson says that mindfulness methods were largely responsible for his success as a coach. He also was/likely still is a devout practitioner of meditation. During the 1970s and 1980s, I was changed by a number of books on the mind and philosophy. Perhaps my favorite book of the 1970s was “Zen and the Art of Motocycle Maintenance,” while in the 1980s my most influential book was “The Way of the Peaceful Warrior.” At age 30 and being 6’2”, I had this fascination with gymnastics, and began to delve into visualization and mindfulness. Today I know that these principles are at the core of success in sports and basketball. Basketball also has many similarities to gymnastics in that the trick or shot is actually done in your head before you execute the shot. It requires visualization, mental focus, confidence, and a keen awareness of your “rhythmic patterns” of movement. And the more you believe in your shot as your execute it, the higher your accuracy. 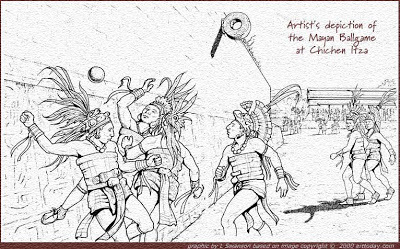 This IS where the basketball shot comes from…. visualizing, physically connecting, and BELIEVING! It’s a lot like the Disney movie, “Peter Pan.” And in the end, how did Peter fly? Through Happy Thoughts! But, he first had to BELIEVE. I think this is also what drives fans to attend basketball games…. to watch players possibly achieve these out of world performances! In order to BELIEVE, you must first KNOW. And KNOWING — comes from preparation, and DOING! So you practice the fundamentals of your craft, to put yourself in a position to fly. In your preparation and doing, somewhere along the way you may come to KNOW and to SEE what you need in order to BELIEVE. 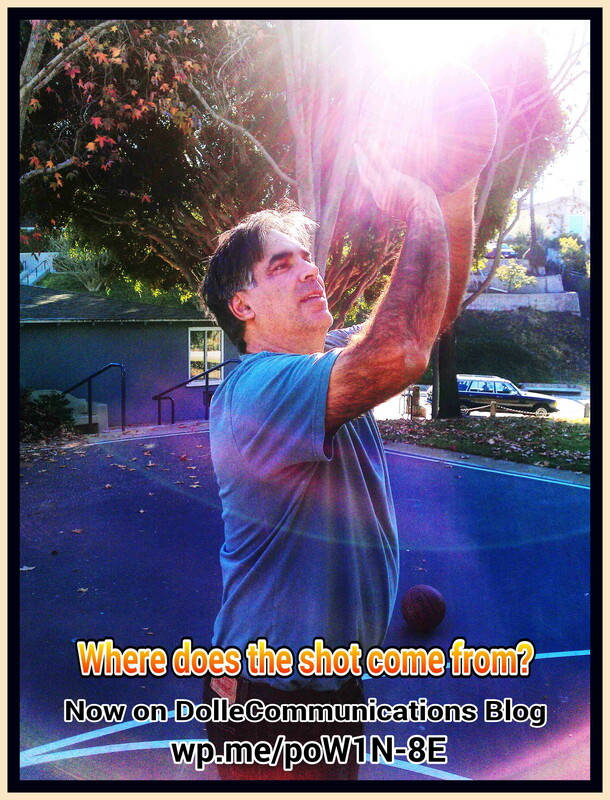 In the photo below, I caught the sun’s morning rays coming thru at a precise place over my friend Al during his morning shooting drills, that suggested that the role of the spirit in basketball may be more than meets the eye. I suspect this is how Stephen Curry and other top shooters achieve their skilled brain states. In addition, it requires a vision and BELIEVING, as seen in players like LeBron James in leading other players to greatness. It is a philosophy, a practice, and way of life. In my personal experiences in shooting on the court, I’ve found a “communion” of sorts in following my higher power’s “direction” in selecting the spots & mechanics for each shot. Even for a very difficult shot. When you follow that “direction,” something magical happens. It’s as though there are “forces” that govern which shots allow the ball to pass thru the basket. You must be in communion. Might it be tied to astrology? I can’t say. Exceptional players like Michael Jordan, Magic Johnson, LeBron James, Kobe Bryant, and Stephen Curry have evolved into mythical figures. 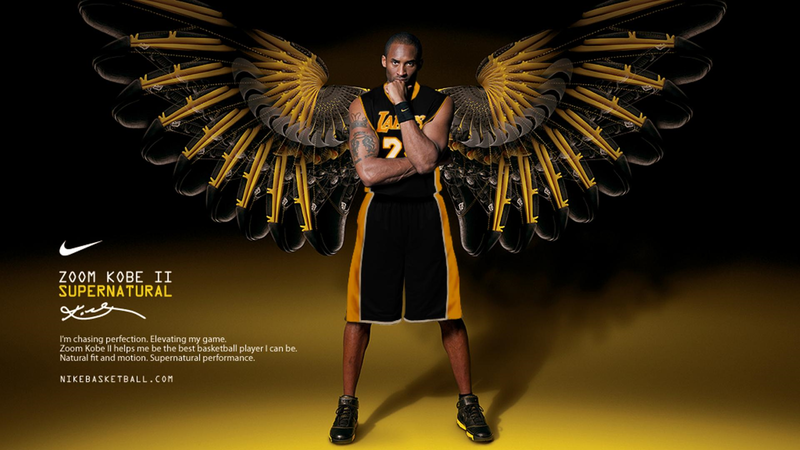 Bryant as the Black Mamba. 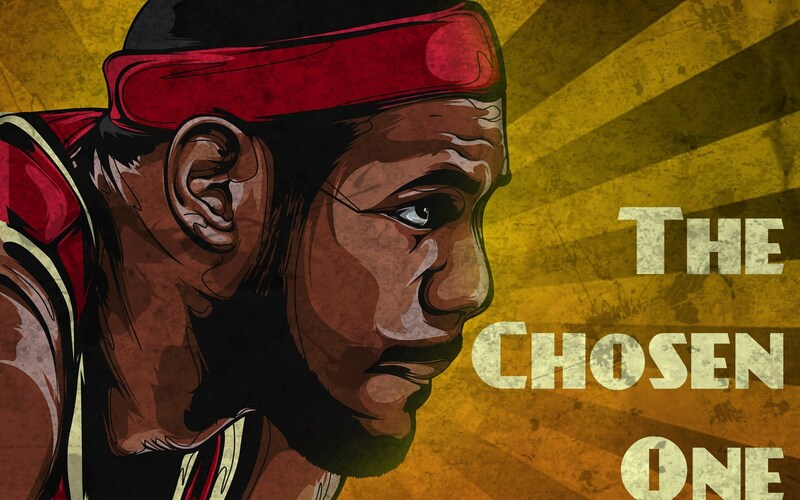 James as the Chosen One. 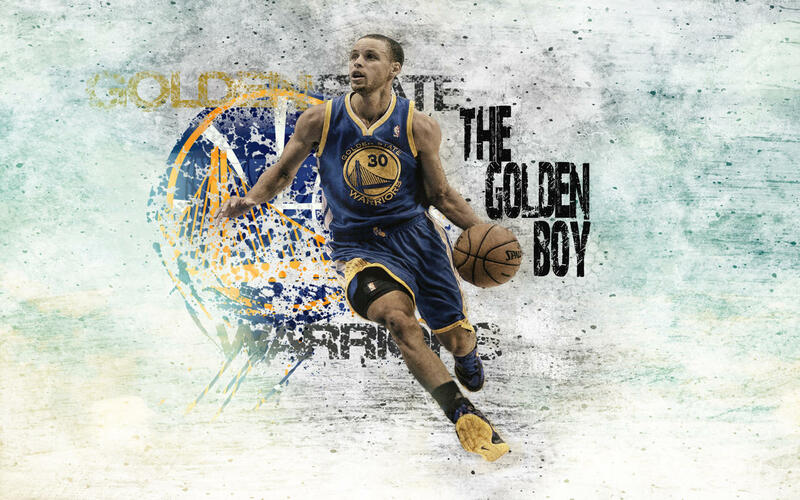 Curry as the Golden Boy. I can only speculate on their brain, spiritual, and physical mechanisms on the court. Another mindfulness practice that intrigues me is how some athletes can compartmentalize the pain of injury and not let it become a distraction during play. This is counter to what we know about pain and its effect on mental focus & performance. I have personally experienced instances of “spontaneous healing,” where all signs and complaints with an injury or illness have immediately disappeared. So it is more common than you might think. The photo below is from one of my brain shunt surgeries, where I used mindfulness to help manage pain. In 1988, Isiah Thomas had his best quarter of basketball ever when he shot 14/15 (or something near that) in a game against the Lakers, with a sprained and swollen ankle that hobbled him on the court. It requires mental focus to make difficult shots. Pain would normally be a significant distraction in shooting accuracy. Just look around the NBA and other sports on why players are out. But Thomas played his best basketball ever on one foot. How was he able to do this? Mindfulness/hypnosis? Spirituality? Shamanism? Trance heightened states? We choose our own discipline(s) to attain excellence in basketball and in life. And some of us are blessed with “genetic predispositions” that aid in our success. But most have to put in the work to learn these. I regularly see genetic predispositions in my work with drum circles. No doubt this can be seen in other practices too. Below, I am interviewed on how drumming can be used to improve your life. It was my personal journey following a 1992 brain injury led me to a series of projects in the neurosciences, beginning with medical devices/mHealth and music, and leading me to drumming and the brain. Some of my projects and guidance weren’t by accident either. They came to me “intuitively,” just like your basketball shot when you’re listening to your higher power! I also have a not so common brain skill where I often instinctively know what to do in a given situation, which doctors at UCLA Medical Center found in 1993 following several days of neuropsych testing. In just 6 months, I had created my own “compensatory strategies” to overcome many of my challenges post injury and surgery. They told me they normally put patients thru rehab to learn these things. I found out I was different! In the years that I followed, I became involved in research with cognition and memory, that I used in the 1997 design of my DiaCeph Test app for hydrocephalus, and then in balance, movement, and sensory challenges. By 2005, I discovered that I had acquired new intuitive or shaman-like skills, and had unknowingly added “rhythmic cues” to my everyday movement, walking, and tasking. I created finger movements to tap on myself and cue myself as I moved about and initiated everyday tasks. I unknowingly began doing this while driving just a few years after my brain injury in the mid-1990s, and found it helped me better concentrate while driving, especially in busy intersections. Eventually, cuing with my hands and fingers became an everyday part of tasks and movements, much of it I wasn’t even aware of it. I’d tap on myself as I got dressed, at the counter in the kitchen, as I brushed my teeth, and started up my car to drive off. After 20-25 yrs now, I don’t even think about it any more. But I consciously do it today while driving, as it helps me better focus during busy traffic. Athletes use a lot of personal hand and timing cues too during play. The most notable of these was baseball’s Ricky Henderson, who had unique hand/finger cues he used in base stealing. In the batters box, baseball players can be seen executing unique cues with their hands and feet. 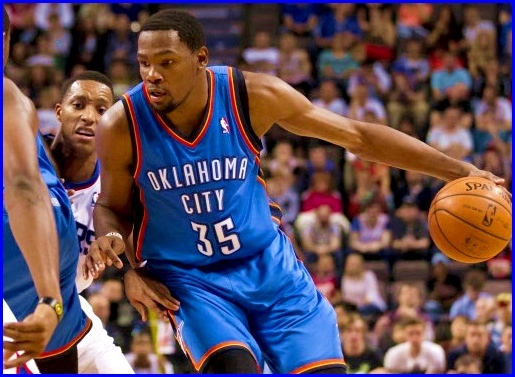 In basketball, player cues are most evident during free throws, where each player has their own unique system. Some however, have really struggled at the free throw line, because they had not developed a unique set of cues & rhythms that they believed in! Most of these are big men who don’t move that rhythmically. The shot is all about the rhythm! At some point, I’ll publish a blog or include in my book, my methods for hand/finger cues when driving an automobile. No doubt this could help a lot of drivers, especially seniors. It’s really just developing methods which allow your body to interact better with your mind. At its core, a string of cued movements or “rhythmic progressions,” helps you maintain your mental focus and to execute the movements & tasks which you have studied and practiced. On the basketball court, I use these cues to direct my step, dribble, turn, and shoot to deliberate patterns. These “cues” allow me to move about and shoot more effortlessly. Off the court, I have some balance problems and am often in a lot of pain, and am dependent on my hand and finger cues. 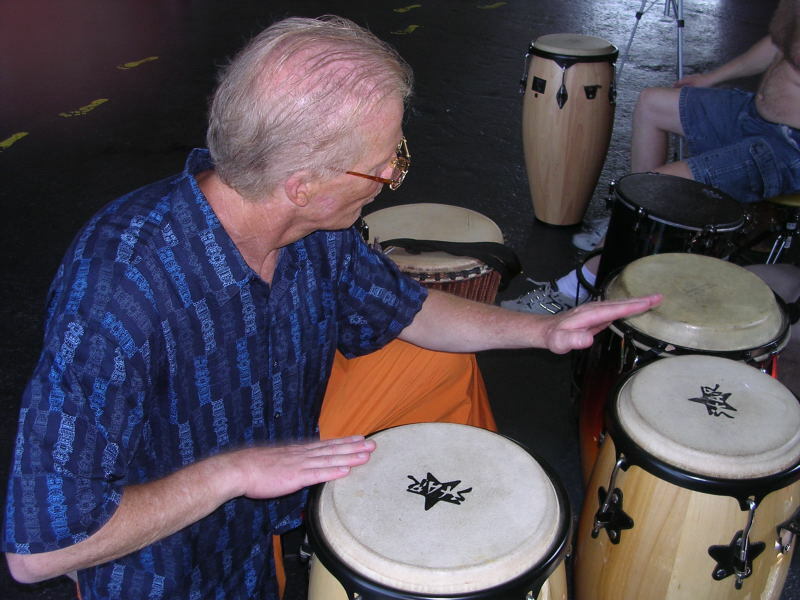 When I play hand percussion in drum circles, I often play Afro-Cuban rhythms I’ve never studied. I play what comes to me, a lot like the cues. In everyday life, I utilize hand-finger movements to boost mental focus & cognition. It may seem a bit like gang signs found in hip hop music. But, I don’t follow hip hop. I have no idea where they came from, other than my brain’s compensatory adaptation. And even more unusual, the other day I found myself wanting to howl along with several dogs who were howling to nearby sirens at the super market. No doubt, this arose out of an increased sensitivity to things around me and wanting to be in BWE with the dogs. The brain science of many of my compensatory methods can be found in scientific papers. Since 2008, I’ve also been using fasting and following calorie restriction methods on eating – to boost health, energy, and mental focus. Today, I also writing about Nootropics vitamins for the brain. My experiences may seem a bit like Ron Howard’s 1980s anti-aging movie, “Cocoon.” But this is real. Mindfulness, shamanism, and trance heightened states enable the brain to function at significantly higher levels. And it’s confirmed on fMRI brain imaging. It’s allowed me to overcome extraordinary odds, undertake some very unique research, put on innovative drumming workshops, and provide consults in several areas of the neurosciences. This may not sound like everyday occurrences to most. But look at the animal spirit images in the flames of the bonfire below. That’s not everyday either. I’ve had skills as a medical intuitive dating back to 1981. So I’m quite used to it by now! I shoot baskets today for the mindfulness buzz, and it also helps my balance, coordination, cognition, and mental outlook. Basketball’s health & fitness benefits are also well known for children, teens, adults, and seniors. In addition, it can provide therapeutic benefits to persons with brain, spinal cord, and movement disorders. From my experiences on the court and in drumming, I created a series of basketball drills, as well as a program for drumming with basketball. There is great synergy between basketball and drumming, as each involves rhythm, movement, syncopation, and brain wave entrainment (BWE). Drumming also improves tactile perception, which can benefit basketball. Earlier this year, I purchased the new Samsung S8+ smart phone and Gear 3 smart watch. They synchronize with each other via Bluetooth, data, and WiFi. In fact, my smart watch even has its own telephone number. The handset comes with Samsung’s new Health software, which includes heart rate, SP02, barometric pressure sensor, and motion sensor. The Gear 3 watch has its own integrated motion and heart rate sensors, and can record motion measurements during sleep, and chart this as an indicator of sleep quality. Timing, Rhythm & Movement App for Basketball: My 1st proposed basketball training mobile app would utilize a smart watch of similar motion sensor to record movement patterns, timing & spacing, and quickness – and graph all this as part of a basketball training app. It would help players study and compare quickness, timing, and movement patterns, and tie this into shooting percentage and other stats in the development of your basketball skills. Someone (a developer & financier) need only develop it. EEG Brain Wave App for Basketball: My 2nd basketball training mobile app would utilize an EEG accessory device that is already available, but needs software. The EEG reader may also need to be improved to allow it to run the app software accurately. These devices have been available for a few years, but their development has been stalled due to FDA regulatory hurdles and no one wanting to spend the money to address it. In basketball, their use would NOT be medical. So I do not believe the resulting app software would not need to undergo FDA submission, or if so, a minimal submission of guidance. The purpose of the app, would be to evaluate the player’s EEG brain waves (for mindfulness/zen like states) and tie this into shooting percentage, rebounds, and stats, etc., to help teach & condition the player in managing their brain waves for optimum brain wave states and production during basketball play. I’ve got more than seven (7) years of experience in basketball for health and fitness. Below, I share my shooting preparation, and drills and shooting on the court. In order to be physically ready to shoot, I do a series of floor and rubber band stretches and mindfulness visualizations for 10-25 minutes. This helps to clear your head and prepare you physically for the demands you’ll be faced with in dribbling, moving, and shooting. It also helps get you “tuned into” your high power for direction on the court. On the court, I begin with left and right hand, between the legs, behind the back, and closed space dribbling. I make sure my footwork matches anything I do with the ball. Next, I do dribbling with shots from left to right under the basket. This helps address any stiffness or dizziness. And some days I require more turning and dribbling drills warm-up. I continue shooting under the basket, as I shift between right & left handed shooting. I am left handed. But, I will do as many or more shots under the basket with my right hand. Next, are my bank shots, where I gradually move to further distances around the court. By this time, I am usually beginning to “feel” the shot and come off the ground a little as I shoot. I allow my body’s momentum to lift me off the ground. I rarely do jump shots as it reduces my shot accuracy. Once I am fully warmed up, I move to field goals, where I enjoy moving about the court, shooting what my shots and rebounds give me. I listen to my body and to the basketball gods in deciding what my next shot & drills will be. By now, I’m 20-25 minutes into my workout, and begin free throws, which as anyone knows, can become contentious and mentally challenging. I would like to do some training in psychology of free throws as I can struggle at the line. I know it is usually something on my mind that is interfering. So this often becomes free throw therapy! I mean, we all need some outside help! Depending on how this goes will determine whether I do layups, or 3-point shots next. Both of these have become a little more difficult over the last year or two (I am now age 60). Still, I follow what my body gives me. Often times with 3-point shots, I’ll do shots inside the arc to warm up my shoulders for the further distances. Since free throws and 3-point shots can be contentious, I sometimes use really different techniques (and two handed) and shots to just stimulate my body and balance. When I can, I’ll let out a shout or two in frustration (which I think is very helpful). But I’m courteous to nearby neighbors. On layups, I do standard, reverse, and under handed styles. I do as much as my body and mindfulness allows. I used to be able to sprint/dribble back to my house. But not in the past couple of years. In applying these methods of mindfulness, you become your own psychotherapist on the court. You learn to listen to your body, get out of your head, and be more balanced in your approach to life. And once you’ve cleared your head, you’re rewarded by seeing & feeling the ball go thru the basket (not to mention you don’t have to chase the ball). Your GOAL is being more connected. I find opposite hand shooting also helps to balance both the left & right hemispheres of the brain, and a higher sense of calm. I always leave with a better buzz when I’ve done opposite hand shooting and lots of free throws. It improves your poise and balance. These drills can also engage trance heightened state brain activity, though largely dependent on your commitment and discipline. I have added hand drumming to basketball before and after shooting. I also added basketball to some of my drum workshops with excellent feedback. I would like to share my methods with college and professional basketball programs. Last, I really like to employ drums & percussion as part of my basketball training, as it gives and audible sound to the time & movement between players. Playing the drums before you shoot, or at court side, really does help you connect! Drum rhythms define a very precise pattern and are remarkably similar to an athlete’s movement on the basketball court. If you play or shoot baskets for fun or fitness, you will experience rhythmic progressions in your shooting, passing, and dribbling. This can put you into an altered state of consciousness, or Nirvana of sorts. You might even enter a trance state. The main difference is with drumming, that you can enter into these mind states without being an expert drummer or musician. Trance states and rhythmic patterns are indigenous to us all. You need only find the right discipline. The children below put on a drum circle during half-time at a Bay area basketball game. In basketball, passing, shooting, and on-court communications largely occur due to syncopation and brain wave entrainment. To aid syncopation, drums have been used in military training and battlefield maneuvers for hundreds of years. 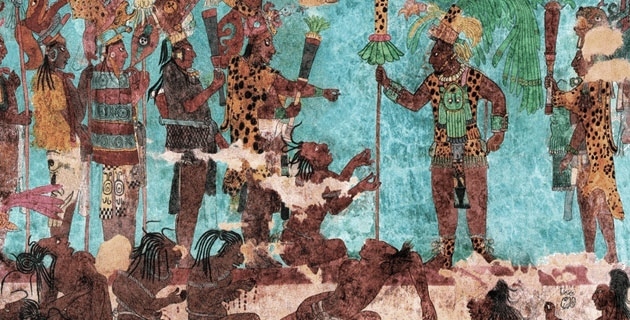 Drumming has a long history with African shamans. In some parts of Africa, drums are brought and played next to the basketball court. For these reasons, drumming is a great training tool in basketball. Drumming and shamanism are very rooted in African culture, where mindfulness and trance heightened states are rooted more in Western civilization. They may be one and the same brain mechanism – arising from different cultures. These disciplines no doubt hold tremendous insight into future human development. Drumming is an unusually good fit to basketball because of team play, rhythmic movements & beats, and brain wave entrainment or BWE. Drum beats and BWE can help synchronize plays and on-court communications in basketball. It can help in heightened awareness of ball movement and connectedness on the court. Drumming with basketball can be adapted to health & fitness and team play. A group is split into (5) parts consisting of: sitting down hand drumming, standing shakers & bells, standing sound shapes, on court ball handling & shooting, standing playing (tapping) on your body. These play parts are about movement and syncopation. Playing and shooting is about moving every part of your body in a coordinated rhythm. Within several minutes, a group rhythm evolve and synchronize between all the parts of the group, and there will become a magical synergy that will aid both those playing instruments, and those with the basketballs. 3. The objective is to communicate and synchronize sound and movement, and take turns leading by position. 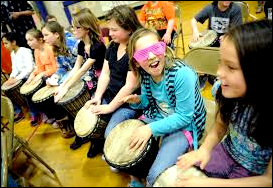 Each of the instruments offers a unique role in leading a drum circle, as does player roles/skillsets in basketball. 4. The role of the bench is to support the drum circle via misc small percussion, clapping, and vocal calls and chants from the sidelines, where the bench is given opportunity to lead the drum circle both from the bench, and once they enter the game, since their role in syncopation has already been established. 5. Lastly, the role of the basketball drum circle is to continue to play even when you fall out of rhythm, as your commitment to keep playing so as to re-establish your rhythm, is synonymous with staying on your game plan even when you’ve fallen behind and out of rhythm, because eventually you will re-connect. The drum circle and basketball play circle are both very similar and teaches players about team building, trust, believing, and staying together. And sometimes, you need to let it all go, to get your MOJO back! 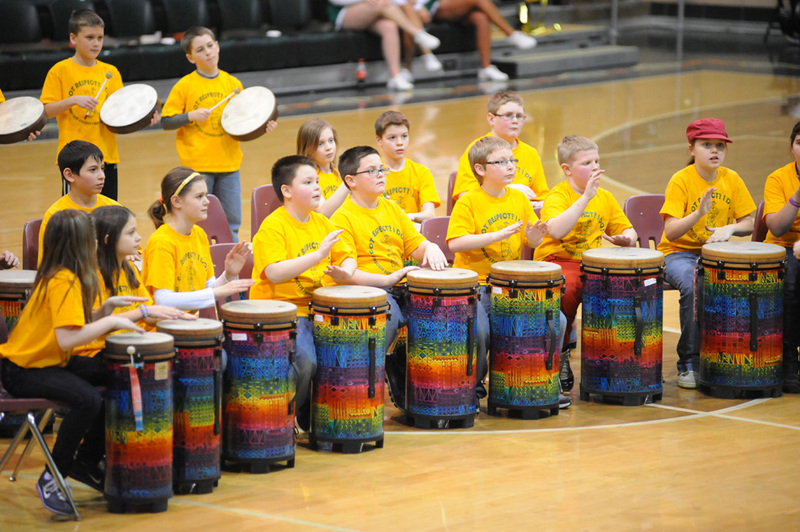 Drumming and basketball can be used in the treatment of concussion symptoms, and for long term management of concussion symptoms and neurological disorders. Athletes are advised to take it easy and not engage in substantial physical or sensory stimulation activity. Light physical rhythmic moving and shooting basketball meets the post concussion protocol criteria. Adding drumming to basketball helps players relax, and improves spatial awareness, physical coordination, and cognitive skill. The benefits are optimized when shooting or drumming outdoors in a park setting. I’ve done some research with sensory processing disorder, or SPD, and with difficulty in cognition following brain injury and hydrocephalus. The spectrum of symptoms seen following concussion includes: sensitivity to lights, sounds, and scents (termed SPD dysfunction), migraine, problems with balance, awareness & disorientation, and irritability, which can trigger behavioral outbursts and irrational conduct. The symptoms can render an individual with challenges in cognitive accessibility in terms of reading and understanding written (user) instructions, web sites, mobile devices, and with sound intolerance in public places, and television and radio broadcasts (esp commercials). I also have an in-depth blog on drumming for football. 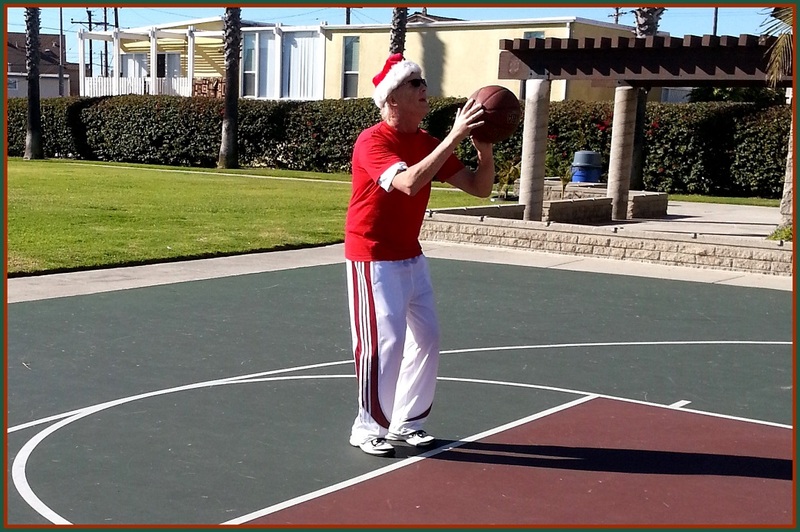 I can be reached in Newport Beach, California, for basketball consults, training, kinesiology work, and drum circles. Contact me via the information below. SAVE my JPEG card for future reference. John Brenkus and the Sport Science team examine Stephen Curry’s sweet stroke.